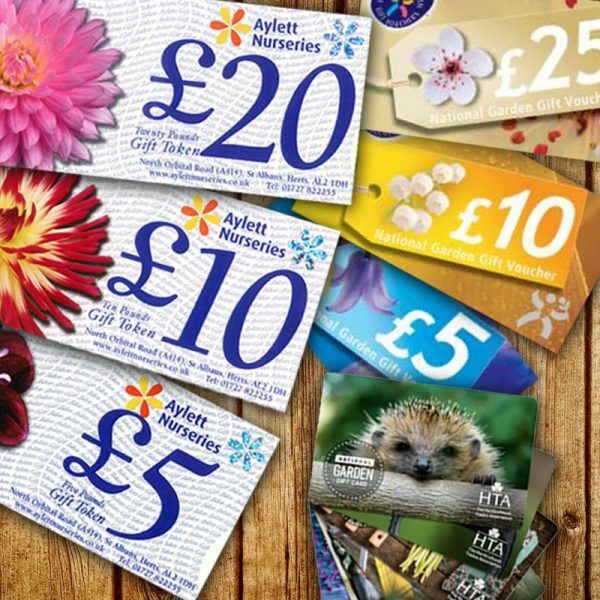 Aylett Gift vouchers make an ideal present for someone living locally, as they are specific to the Garden Centre. Available in £5, £10 and £20 denominations together with a complementary card and envelope. Aylett Gift Vouchers are valid for 3 years from the date of issue. As members of the Horticultural Trades Association we also participate in their Gift Voucher and Gift Card scheme. These vouchers and cards can be redeemed at garden centres and shopping outlets nationwide. We sell HTA Gift vouchers in £5, £10 and £25 denominations together with a complementary card and envelope. Gift Cards are undenominated which means you can choose a value from £5 to £250 and the cards are valid for 30 months. Gift Vouchers and Gift Cards are available to purchase from our Cash Desks or over the telephone. Traditional Afternoon Tea ~ £9.95 per person ~ A selection of Finger Sandwiches, Mini Scone served with Preserve and Clotted Cream, a selection of Cakes and a choice of Tea or Coffee. Celebration Afternoon Tea ~ £14.95 per person ~ A selection of Finger Sandwiches, Mini Scone served with Preserve and Clotted Cream, a selection of Cakes and a choice of Tea or Coffee accompanied by a Glass of Prosecco. Afternoon Tea Gift Vouchers are available to purchase for the Dahlia Coffee House or over the telephone and come with a complimentary card and envelope.